“Beyond Hope” – a new term starts! My work with Derbyshire County Council at Newholme Hospital has resumed, and I’ve also started working at Cavendish Hospital in Buxton, where I ran a couple of tasters in July. I’m continuing to work with patients, giving them stimulus through photographs, objects, words and music, and through that, an opportunity to reflect and talk about their experiences, places they’ve been, and things they’ve done. 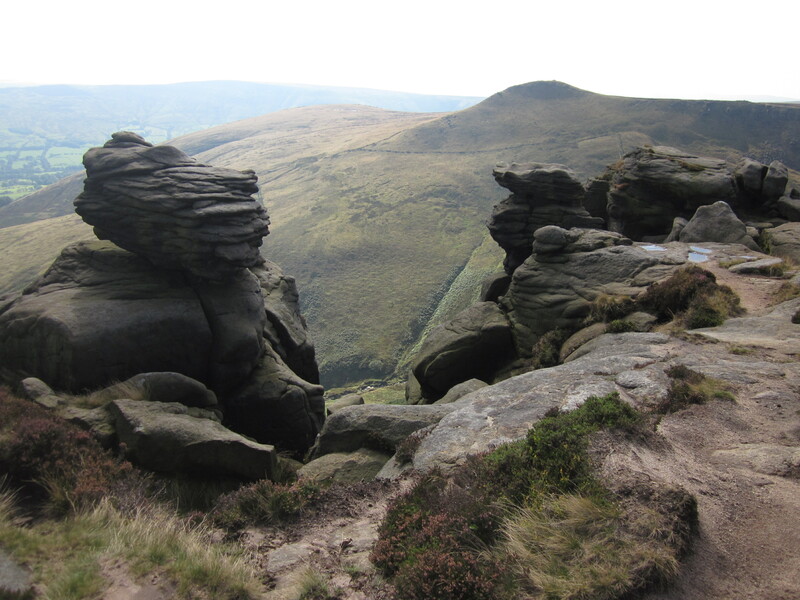 Last week, we looked at Kinder Scout, and the more rugged aspects of the Peak District. Many of the patients knew the mountain well and had climbed it several times, even once with a cine heavy camera! I hope the film taken on that day still exists somewhere, waiting to be rediscovered as a testament to the effort it took to carry the camera. That’s what the project is about, and I hope that we can continue to rediscover and document forgotten voices and preserve memories, engaging with the patients and their creativity. Here’s a sonnet I’ve written, compiling some of the interesting things we found out and discussed. I must say at this point for readers from further afield, that Hope is a very picturesque village, about seven miles from Edale, the starting point of the Pennine Way and the climb up Kinder Scout. Hope lends itself to puns, such as the song “She Lives in Hope” by John Shuttleworth, and “Beyond Hope” is one of the things that people say about Edale, a reference to its remote location! I used to drag the dog and the wife up Kinder Scout. As if a modern sculptor had been chipping away at the rock. While millennia of rain, wind and snow carved the millstone grit. Helping lost souls to find the paths in the fog and dark. Although the valleys had been golden, setting off from Hayfield. In the tarn’s dark water, or she may give you eternal life.